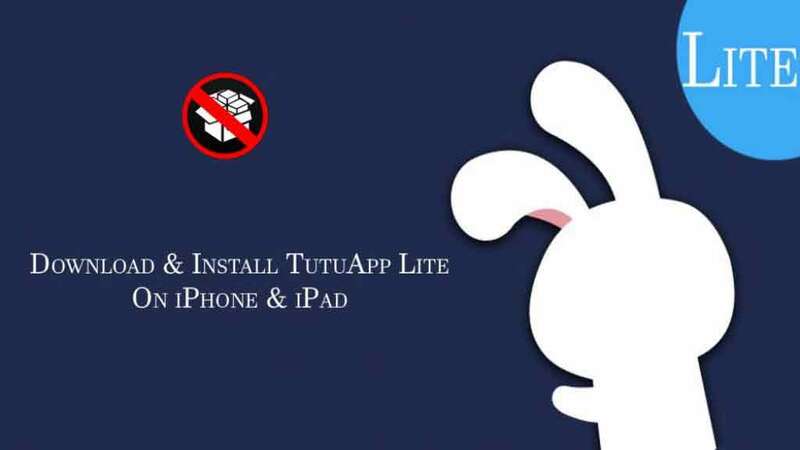 Download & Install TutuApp Lite – Guys, this is bad news for all those iOS users, who like to use the third-party app stores like, TutuApp, AppValley, TweakBox, and Ignition. Some third-party app users are facing revoke issue and guys if you are one of them then don’t worry because TutuApp lite is still working on the iOS device. TutuApp, TweakBox, AppValley, and Ignition are the most popular third-party app stores and With the help of these app stores, you can download unlimited best-hacked games, tweaked apps, modified apps without jailbreak. So guys, if you also users of these app stores then you must know that Apple is very strict on them and revoke their certificate anytime. After Revoking certificate, iOS users can’t use these app stores. However, with clever hacking, the development teams behind these stores are able to bring them back up in no time. As Apple is really hard on them so the team behind these stores are able to renew their certificate, only to be revoked again and In the last few days, AppValley & TweakBox has revoked 4 times by Apple. TutuApp, AppValley, TweakBox, and Ignition are consistently trying to renew their certificate and Apple crackdown them and consistently revoke them. But TutuApp users have an alternative that is known by the name TutuApp lite. so let’s go further and see how you can download & install TutuApp on your iPhone & iPad. Meanwhile, TutuApp’s development team is consistently working on fixing the primary application. If you want to download hacked for iOS device then download emus4u for iPhone & iPad without jailbreak. Guys, if you want to download & install TutuApp lite on your iOS device then make sure you have followed each step below. First of all, open your iPhone & iPad and visit on the website named TutuApp.vip. Next, you will see another pop-up that will ask you to download Configure file so click on the “Allow“. When you tap on the Allow then you will redirect on the settings apps. Once after clicking, “Allow”, You will see Profile Downloaded to your settings. Now, what you need to do is just go to the Setting and then go to the General and scroll down and tap on the Profile & device management and select TutuApp lite. A profile installation screen will come up. So tap on the install button and then enter your passcode and again hit the install button. Now the downloading & install process completed. You can go ahead and use the application and enjoy your favorite games, apps, and tools. So, guys, that’s it for this article. Guys, until the TutuApp primary application recovering again, you can enjoy the TutuApp lite. So guys, this article was about download & install TutuApp lite on your iPhone & iPad. thank you for reading this article and being with us. Hope you like the article and the app and if you like my post then please share it with your friends, family members, and on the social media and also don’t forget to visit daily on this website. Because we update here every day new and helpful articles like this one.